UPDATE: It was at least the fourth. You can read about the crazy stuff that happened at what was probably the first here. One was in 2001. Just 14 years ago. 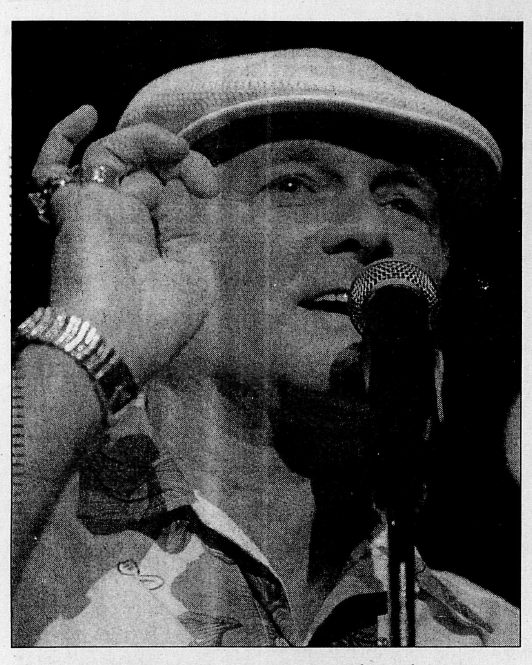 It was the Beach Boys (and Tonic and Pat McGee). THE BEACH BOYS for crying out loud. 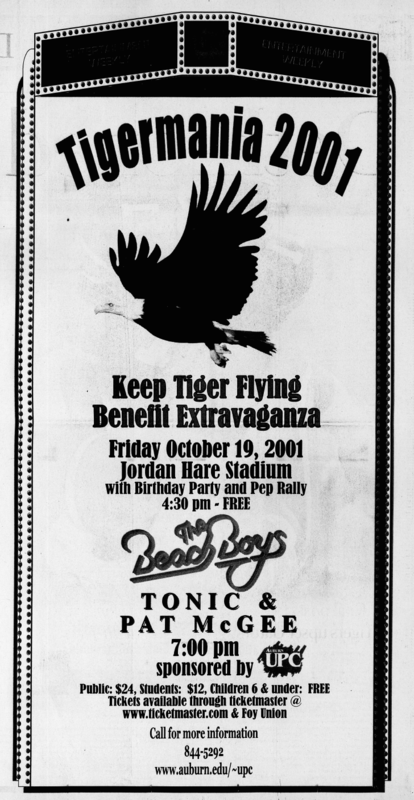 It was a fundraiser (for the Southeastern Raptor Rehabilitation Center)… and it, too, was billed as the first ever concert in Jordan-Hare Stadium. “We’ve been trying to hold a concert in the stadium for a long time,” Williams said. The Athletics Department has been hesitant to let UPC to use the stadium for fear of damage to the field. According to Williams, this fall’s stadium concert came about when the College of Veterinary Medicine came up with the idea to hold a benefit concert for the Southeastern Raptor Rehabilitation Center. Gwaltney hopes this concert will lead to future stadium shows. UPC was required to have the stadium cleaned and the stage removed by 6 a.m. There were about 15 divots on the field after the stage was removed from its location on the visitors sideline of the field, but the blemishes disappeared as soon as the field was raked. 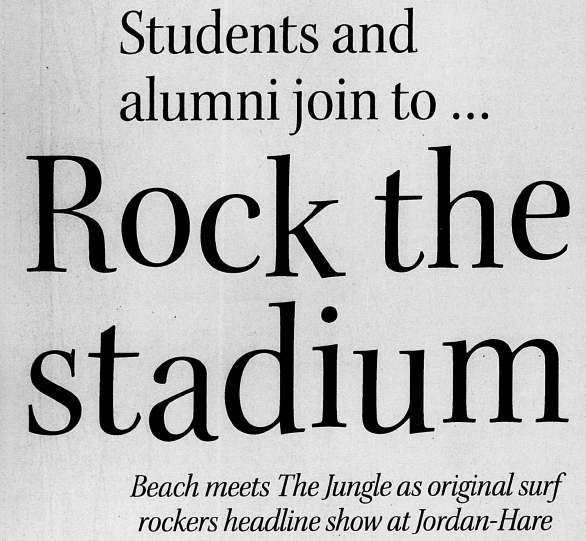 So let’s say you now remember that you were one of the 4,500 people at the first ever concert in Jordan-Hare Stadium, but for some insane reason you didn’t really like the Beach Boys. Let’s say that you were among the not insignificant number of Seriously—The Beach Boys? dissidents, and that you went just to be a part of history. You may want to ask for a refund. October 8, 1965. The James Brown Revue. The Famous Flames. TV Mama. According to the limited accounts, Mr. Dynamite exploded in front of 5,800 people, mostly Auburn students, for two and a half hours. It was wild, like the 1965 equivalent of Ke$ha Does Toomer’s wild… so wild a committee designed to keep Auburn events from ever being that wild again was formed as a result. … the Auburn students were clambering for the cuff links of James Brown as he frothed at mouth and screamed hysterically while hopping on one foot all over the stage. Some call it talent, but I can’t see it. Many spellbound fans swarmed around the north side of the bandstand nearly causing a disturbance. 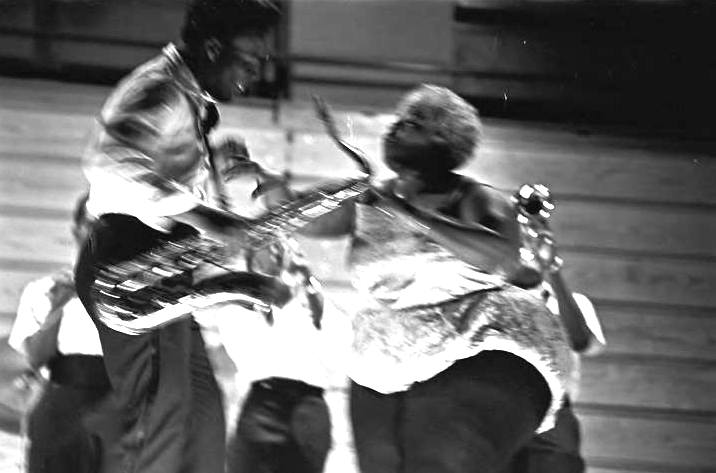 Here’s a shot of TV Mama during a James Brown Revue show at the Alabama State College Arena probably right around the same time. 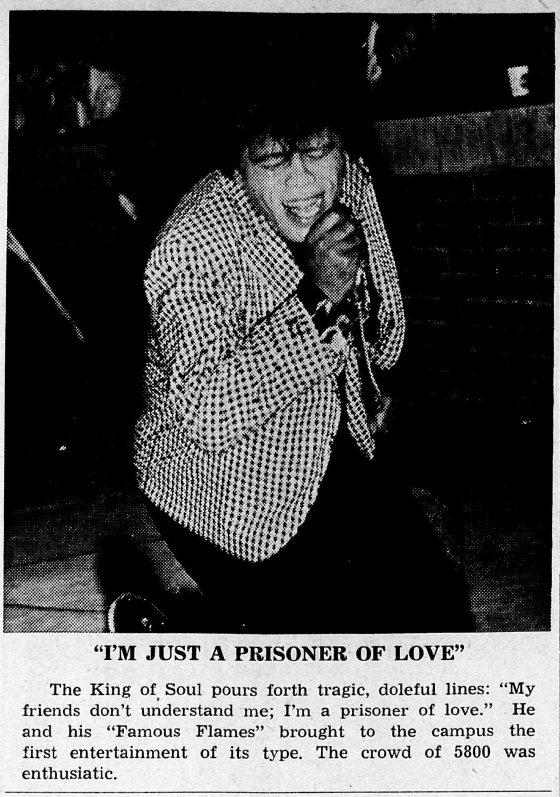 And here’s JB and The Famous Flames playing “Out Of Sight” (which made the Auburn gig playlist) in 1964. Before that, the most recent major stadium event had been an April address by none other than Billy Graham. 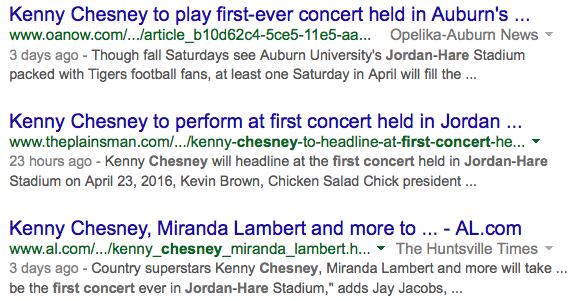 And hey, speaking of, that might make it three concerts… depending on your definition of concert, at least. It’s up to you decide whether you’re going to tell George Beverly Shea, a Gospel legend who lived to be 104 and who has sung in front of more people than anyone in the universe that what he did in front of 15,000 folks in Jordan-Hare on April 27, 1965 was not a concert. 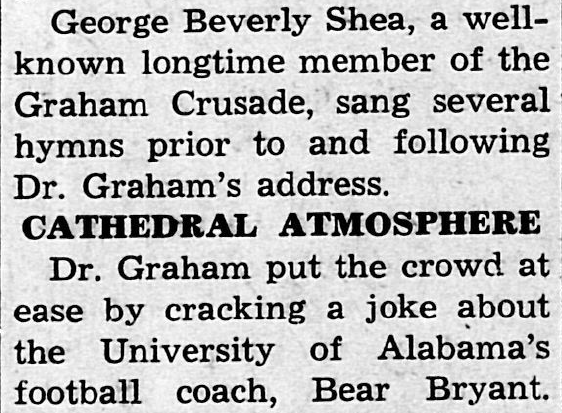 Whatever you decide, at least it gave me an excuse to remind the world that Billy Graham once cracked a Bear Bryant joke in Jordan-Hare Stadium. So thanks, fact checkers! UPDATE: Best I can tell, weather kept Dionne Warwick from being the second concert in Jordan-Hare. 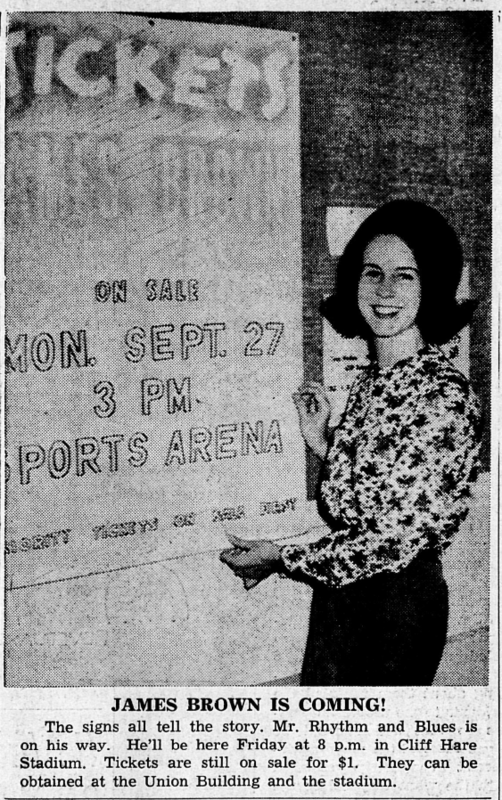 Her 1968 stadium show was originally scheduled for the Student ACT. Ticket demand pushed it to Cliff Hare. Rain pushed it back. If you know of any others, drop a line. Related: The original capacity of Auburn’s Jordan-Hare Stadium was twice as much as everyone says. 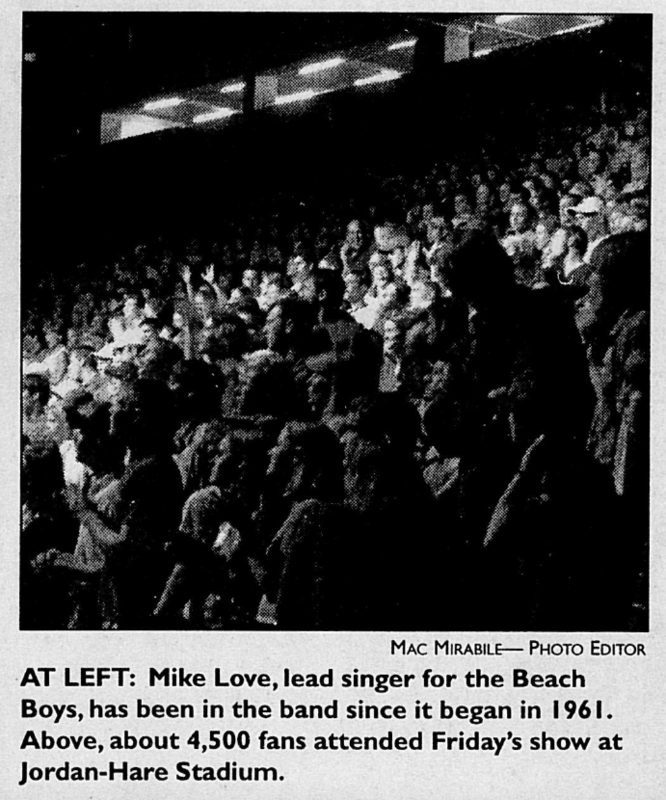 I believe the Beach Boys did a concert in the stadium in the mid sixties, before the Memorial Colesium was built. 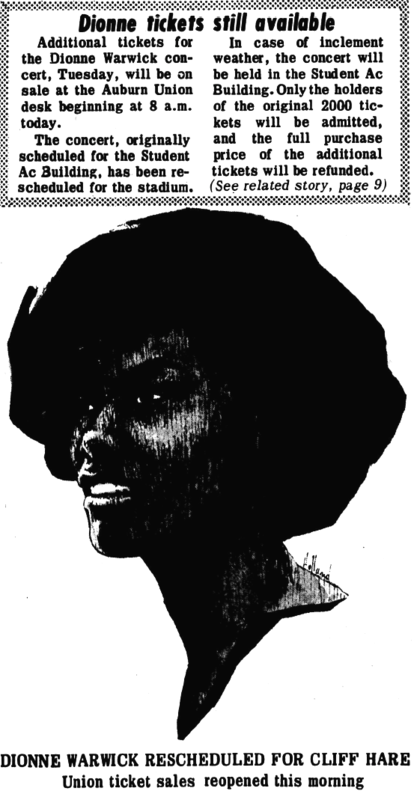 Also, in the same time period, Dionne Warwick, was scheduled to do a concert in the stadium but bad weather forced the concert into the old student center. Had this conversation last night with the wife – we both went to Tigermania (Beach Boys > Tonic, FYI). The stage faced the west side of the stadium (the luxury box side).